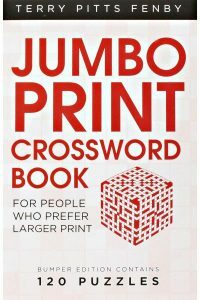 My readers know that I am a crossword puzzles buff and so this post should not come as a surprise to them. They also know how much synchronicity plays its part in my life and so these two events closely following each other should not surprise them either. An old friend who I had not seen for near four years came to visit me yesterday and brought this wonderful gift! You can also gauge the idea she has of my age as, she has very considerately got a book with larger print! She left and within a few minutes, another friend who is aware of my passion sent me this clip. I hope that you enjoy the very British humour. This entry was posted in Books / Reading, Friendship, Humor and tagged Synchronicity, Terry Pitts Frenby. Bookmark the permalink. 16 Responses to Crossword Puzzles. The video is wonderful. They could teach today’s so-called comedians a thing or two. The Two Ronnies, love this one, never get tired of it. 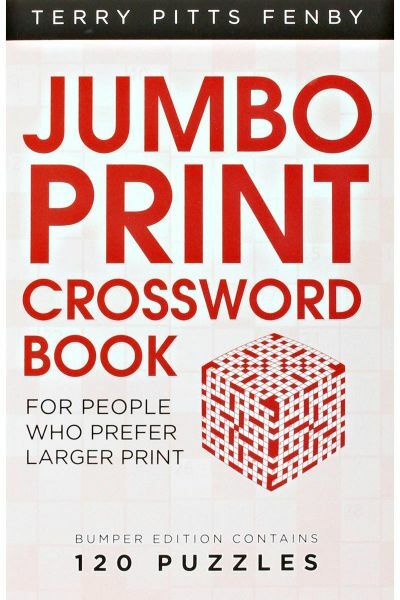 Great gift of large print crosswords. Since I stopped watching TV I don’t get to see them as often as I would but, well wishers keep sending clips which keeps me amused. I was indeed a good scrabble player but, I am unable to find others to play with. The same with Bridge. I can of course go to my club to play but, it is too much of a bother to and so I restrict myself to Crosswords. Some friends also play sudoku which I am yet to explore. ‘The Two Ronnies’ was always one of my favourite TV shows, although I must say that I’ve never been a big fan of crosswords or ‘The Sun’. I am not surprised that you are a fan of the page 3! Large print is a must for me—it’s either that or a magnifying glass! But sorry, no crossword puzzles. They are just not my thing! While all my siblings are crossword addicts, very few of my friends are. Most don’t understand how I can be so fond of it. My husband regularly worked crosswords. Good you recd large size print as can be easier on the eyes. I enjoy British humor. Our English in India is inherited from the colonial days and we, that is the older lot, are very comfortable with British humour. The younger lot have been under the influence of the American variety and often miss the humour in them.